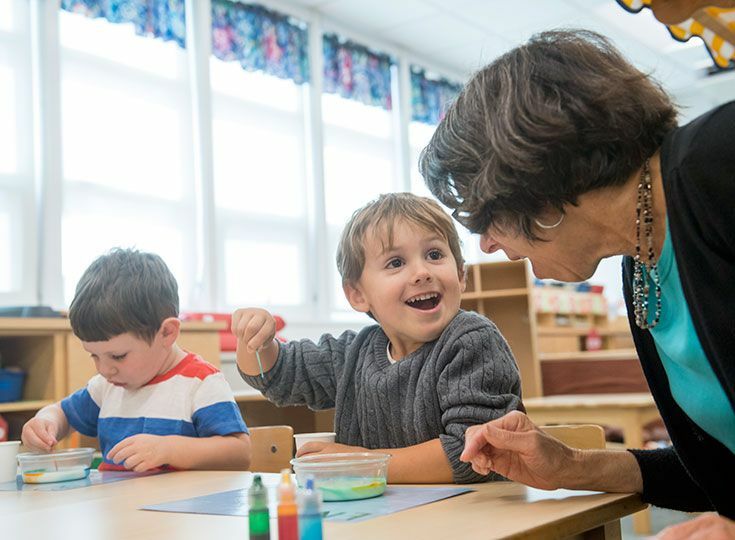 Safe and nurturing classrooms allow each child to discover, explore, and learn at their own pace. Academics and meaningful play are balanced to prepare the child for future academic and social success. 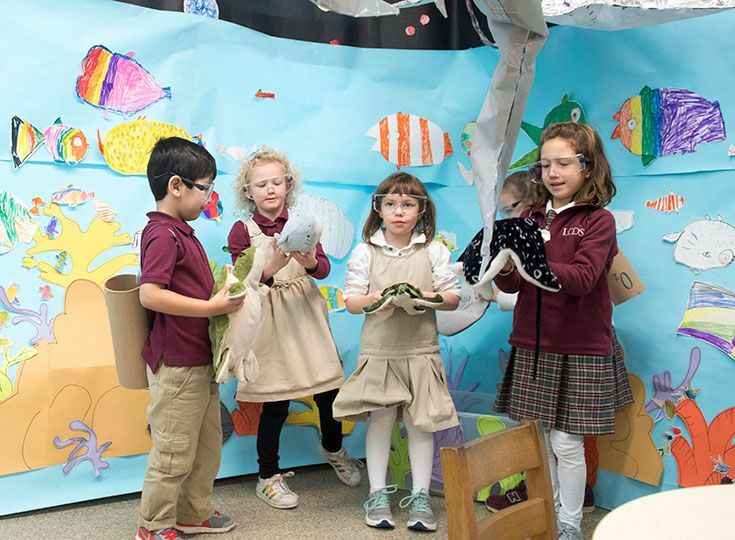 Rich learning centers allow a child to learn and explore individually or in a small group. Science instruction begins in preschool with hands-on experiments. Computer science and coding are incorporated into the math curriculum for grades 2-4. Students have Spanish, art and music classes twice a week. Chinese instruction is introduced in fifth grade. A supportive advisory program fosters close teacher-student relationships. English classes include great works of literature, intensive grammar, and writing thoughtful and persuasive arguments. Lively classroom discussions with classmates and teachers around the Harkness table. Teaching of study skills integrated throughout curriculum. Exposure and encouragement to participate in the fine and performing arts, such as chorus, ensemble and theater. 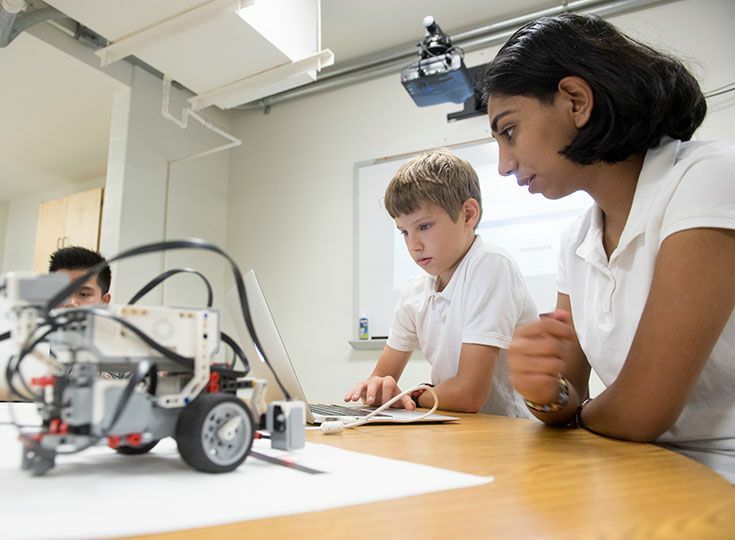 Strong technology electives, with courses in Google Apps, competitive LEGO robotics, animation art and computer programming. Advanced Placement courses in 14 subjects. Independent study and Independent Senior Projects for advanced work beyond the standard curriculum. LCDS is one of 10 schools in the U.S. invited to participate in The Hague International Model United Nations conference held annually in The Netherlands. 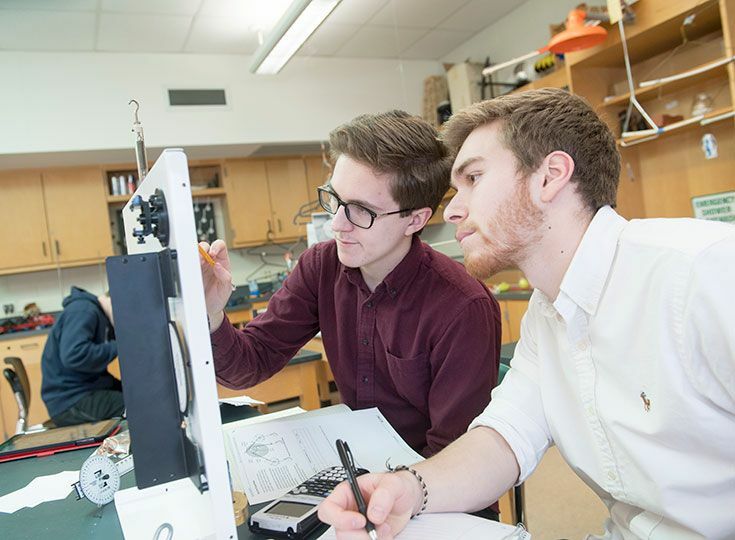 Technology and engineering courses include computer programming, competitive FIRST Robotics and 3D design and printing. Students develop not just awareness but fluency in cultures through an outward-looking curriculum and courses that include travel to destinations both in the U.S. and abroad. LCDS has an extraordinary arts program led by inspired, professional artists teaching theater, ceramics, fine arts, dance and music. Private music lessons are available during the school day for students in all grades. The goal of the arts program is to foster artistic inclinations, creative thinking and art appreciation. Students are encouraged to explore, take risks and experiment through design. Lower School students have physical education at least four days a week and Middle School students have physical education three days a week. Interscholastic competition begins as early as third grade in some sports. Country Day’s new Physical Education & Athletics Center offers myriad training opportunities for athletes, as well as the wider school community. The 27,000-square-foot space features a fitness center with a full complement of strength-training and cardio equipment, as well as a sports medicine and training room. LCDS is a member of the PIAA’s Lancaster-Lebanon League, which allows our athletes to compete for League, District and state championships, and to earn individual and team honors. In addition to the sports LCDS offers, our students can participate in a variety of interscholastic sports in cooperation with Lancaster Catholic and McCaskey High School. Beginning in eighth grade, our comprehensive college guidance program features two advisors who work to help students identify colleges and universities that are the best fits for their talents, interests, aspirations and needs. The advisors are actively involved in many facets of the application process and provide support for both students and parents. 100 percent of graduating seniors earn acceptance to four-year colleges and universities, and alumni routinely report that they arrived exceptionally well prepared for college. LCDS is deeply committed to connecting children to the world around them. We encourage students from all grades to engage in a wide variety of community service projects, whether large or small, local or international. Upper School students can earn an “Outstanding Community Service” designation on their transcripts for individual projects. More than 80 percent of full-time Upper School faculty hold advanced degrees, and 60 percent of all faculty do. LCDS faculty have earned professional development grants as well as national and international recognition through programs including the Fulbright, Klingenstein, Christa McAuliffe Fellowships, AARMS, N.E.H. seminars in the U.S. and Europe, the Whalen Chemistry Award and the U.S. Chemistry Olympiad. Country Day has two fully endowed faculty chairs to honor outstanding teachers at the school.